In the lucky draw, Loupoe got us in the pool position. After a little chaos due to missing cables (where is the Klinke-Klinke? 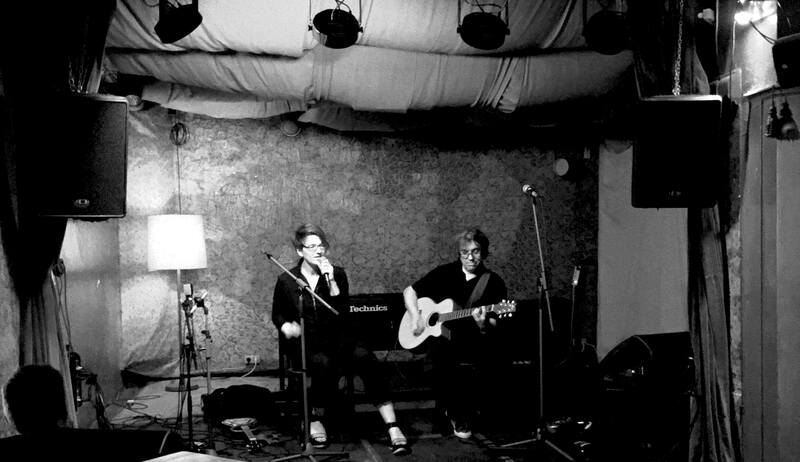 I need my Klinke-Klinke…) we presented three songs: „garden“, „shifters“ and as a world premiere our new song „hair“. And of course „Loupoe’s blues“ as a little encore. Very proud to welcome our international fanbase of four: Melissa and Jess from London, Janice from Hong Kong and Polina from Moscow. You guys are awesome!!! Thanks for cheering so hard!! !